Obituary for Donald E. Barnhart | Harold M. Zimmerman And Son Funeral Home Inc.
Donald E. Barnhart, 82, of Greencastle, passed away on Saturday, August 25, 2018 at his home. Born August 12, 1936 in Waynesboro, he was a son of the late Wilber A. and Mary B. Cosey Barnhart. A 1954 Graduate of Greencastle high School, he attended Penn State and Bucknell Banking School. During his high school years, Don worked at Earl’s Market in State Line and then joined Leiter Brothers Department Store in Chambersburg as assistant manager in 1955. He became manager of their store in Waynesboro in 1958 until 1963 when he joined Citizens National Bank in Greencastle as a management trainee. He eventually became a Vice-President, Executive Vice President, then President and CEO in 1982 until his retirement in 1991. Don served as President of the Franklin-Fulton Bankers Association in which he taught several courses at the Chambersburg Area Senior High School. He also served as President of the Greencastle-Antrim Chamber of Commerce, Vice President of the Community Banker of Pennsylvania, Secretary of the Greencastle-Antrim Area Development Association and served on the Board of Directors of the Chambersburg Hospital and various committees of Summit Health. Don was co-founder of the Greencastle-Antrim Foundation which built and operates the John L. Grove Medical Center then served as Treasurer, Vice-President and President. He was a member of the Kauffman Ruritan Club for over 60 years where he served as Treasurer, Vice President, and President and was in charge of rebuilding the Kauffman Ruritan Community Building in 1999 after it was destroyed by fire. 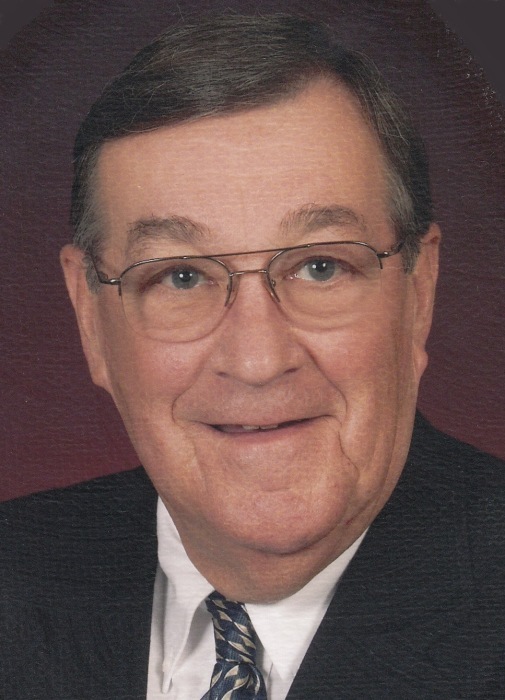 Don was a member of Marion First United Methodist Church for more than 64 years where he has served has Chairman of the Church Board, Chairman of the PPR committee and Treasurer and Finance Chairman for more than 20 years. He also served on the United Methodist Church District Building Committee. Don was past Treasurer of the Greencastle Sportsman’s Association and was a past member of the Quincy Home Board of Directors. Don was a baseball fan of the Philadelphia Phillies. He played high school baseball and also played on several local teams. He managed Kauffman Ruritan Little League, New Franklin Little League and Junior League and also was a softball umpire for several years. Don is survived by his wife of 63 years, Joan H. Hager Barnhart, whom he married on July 3, 1955; his son, Mike L. Barnhart (fiancée Tina Marie Butts) of Chambersburg; daughter-in-law, Mary Lou Barnhart of Greencastle; three grandchildren Zach Barnhart, Matt Barnhart and Katie Barnhart; two step grandchildren Coty Rickel and wife Jenna and Samantha Carbaugh; one great grandchild Alexis Carbaugh; and numerous nieces and nephews. In addition to his parents, Don was preceded in death by his son, Steven N. Barnhart in 2010; two brothers, Elwood Barnhart and Charles Barnhart; and step-mother, Frances Dentler Brewer Barnhart. A funeral service will be held at 11 AM on Thursday, August 30, 2018 in Marion First United Methodist Church, 94 Colorado Street, Marion, PA 17235. Pastor Brent Stouffer will officiate. Interment will follow the service in Browns Mill Cemetery. The family will receive friends Wednesday evening from 6 – 8 PM at the church and one hour prior to the service on Thursday. In lieu of flowers memorial contributions may be made to Marion First United Methodist Church at the above address to be used towards the building fund. Online condolences may be expressed at www.zimmermanfh.com.